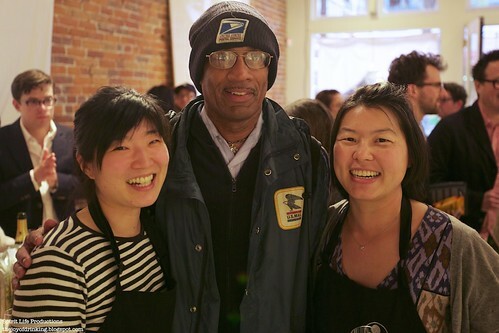 Wo Hing General Store closes its doors forever tonight. It had a good run, at the very least. Luckily, all the friendly faces from Wo Hing will be reshuffled to different Phan restaurants. We'll update when we find out where they wind up. 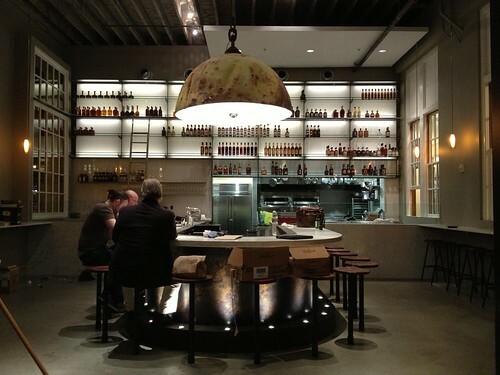 A few weeks ago we went to check out the interior of Hard Water before it was fully open. And now it's finally here––operating at full steam! 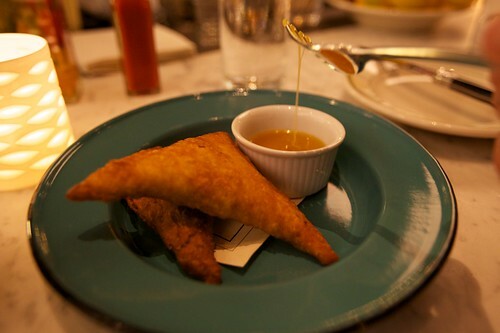 Hard Water has some of the best southern food and drink I've ever had. 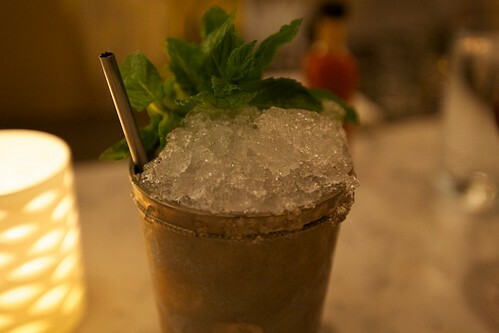 The cocktail menu focuses on New Orleans style drinks, so if you love whiskey this is the place to be. We were so excited that we decided to try all the menu drinks to share a first look. 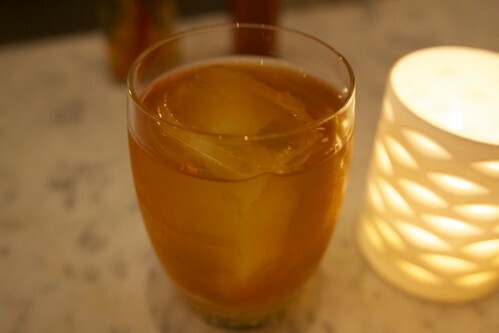 Dixie Cocktail––Not to be confused with the gin and absinthe drink from the Savoy Cocktail Book, this Dixie Cocktail is rich, slow New Orleans classic. It showcases the bourbon perfectly. 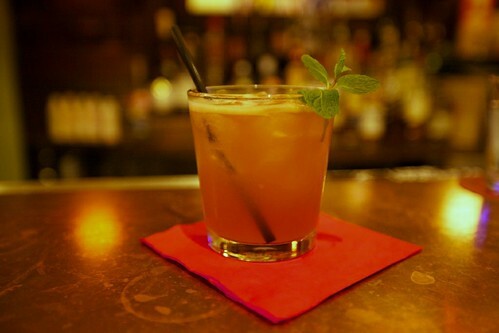 Roffignac Cocktail––This drink was one of those potable portals that bring you back to another time in history. It's hard to describe why, but this drink left me speechless. 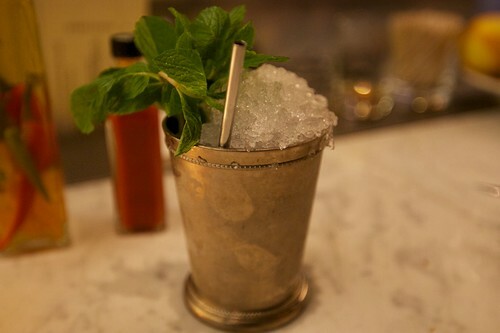 Mint Julep––this was a fantastic julep. Using Old Fitzgerald bourbon is a perfect choice because it holds up against the ice. Cocktail a la Louisiane––rich bourbon goodness make this drink a slow-sipper. 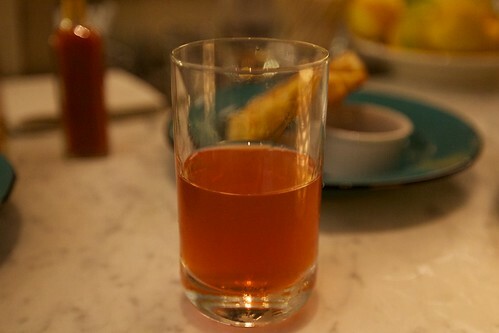 Bonus cocktail: Sazerac––perhaps the best in the city. It's the older recipe, which uses a mixture of cognac and rye. 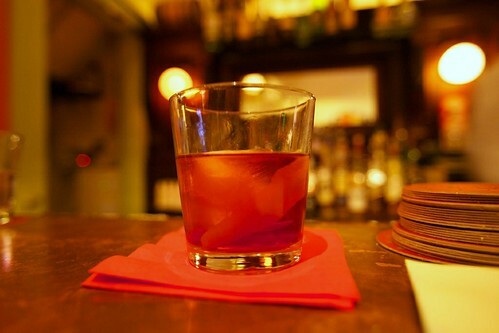 It tones down the harshness that some sazeracs tend to have. The Bourbon Lift—a frothy, fizz of Bourbon, Stumptown coffee liqueur, orgeat, Straus organic cream, and soda water—light, but still delicious and rich. Perfect for coffee fans. 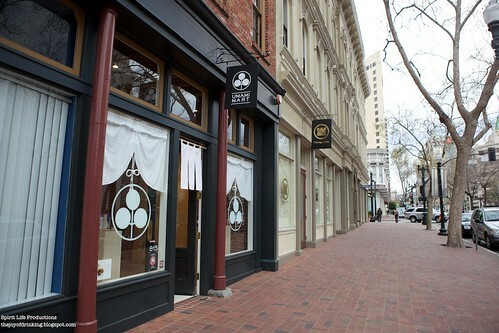 Downtown Oakland has a bad reputation, but the times are a-changin' thanks to shops like Umami Mart and proprietors like Yoko and Kayoko. 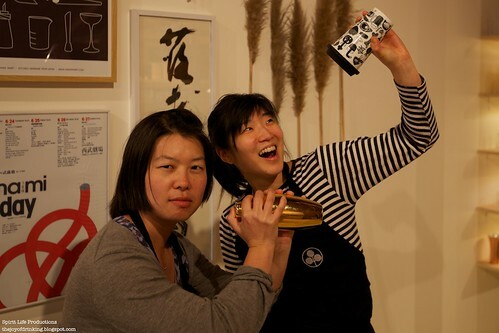 Until six months ago, Umami Mart existed only as a Japanese-centered food and lifestyle blog in the virtual world. Now, it's a got a storefront at 815 Broadway in Oakland, a short five minute walk from the 12th St. BART station. 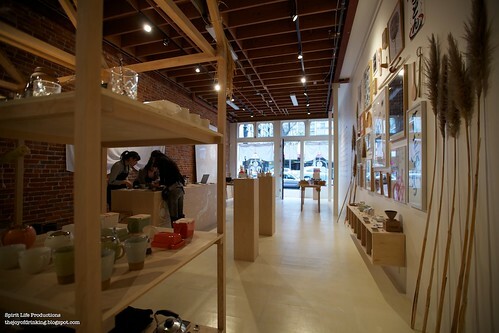 Until last week, the Umami Mart flagship store was a pop-up store which, like handful of other stores on the block, was part of a neighborhood initiative to revitalize downtown Oakland called Pop Up Hood. Essentially, Kayoko and Yoko had six months of free rent to test the waters. If things went well, they'd have the opportunity to sign a lease, which they did just last week. After hanging out for awhile at the lease-signing party, it became pretty obvious why the store is such a hit. First, the physical space reveals an arresting mix of Scandinavian and Japanese design aesthetics. 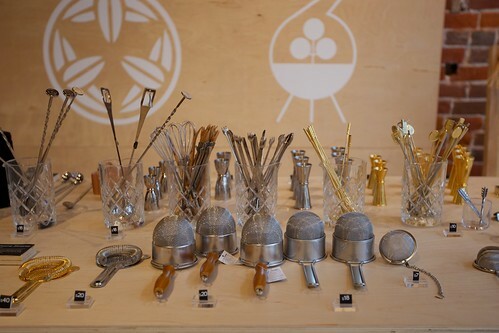 The shelves are stocked with high-quality Japanese food and beverage related merchandise. The barware, like everything else, is imported directly from Japan. 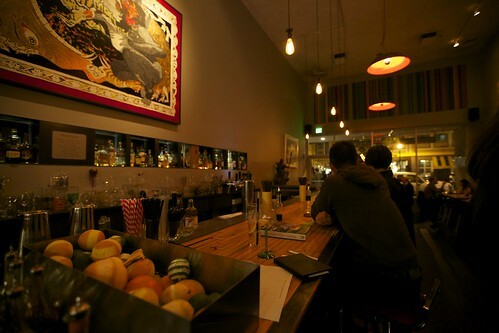 Bartenders from both San Francisco and Oakland buy their gear at Umami Mart. 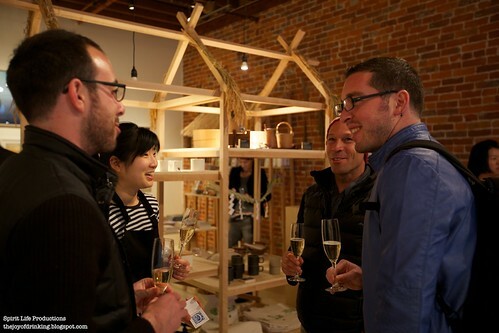 As well-wishers began to pour in, I realized that beauty of Umami Mart is not confined to the space. 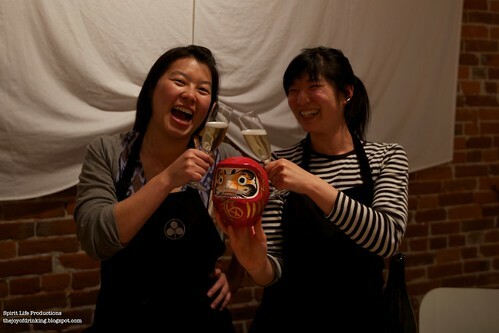 Yoko and Kakyoko are skilled not only at running a business but also at contributing to a growing Downtown community. They have such warm, fun personalities that you feel immediately welcome in the store. 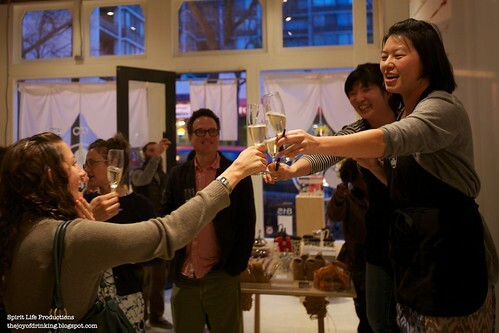 Loads of loyal customers and business owners from the neighborhood showed up to celebrate, and it was clear that Kayoko and Yoko cultivated more than business relationships––they actually brought people together. When it came time for the celebratory toast, I could actually feel the support in the room. Everyone wants this business to thrive. No Japanese celebration is complete without completing the Daruma ritual––drawing in the eyes to signify that you've accomplished a goal. 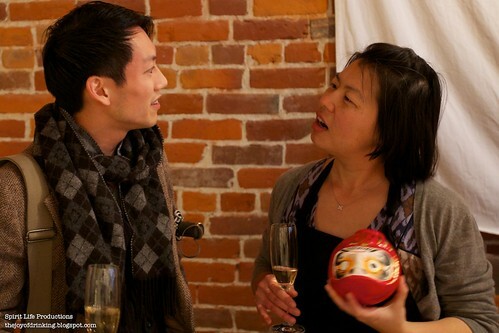 Above, Kayoko is learning the history of the Daruma doll. Below, mission accomplished. 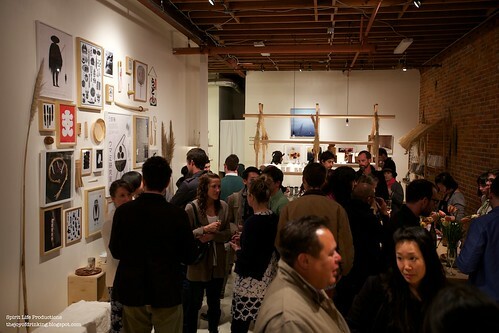 There are so many reasons for you to check out Umami Mart. The ladies are fantastic fun. The merchandise is worth way more than they sell it for. The spot is beautiful. AND they sell bento boxes every Tuesday and Thursday lunchtime. I wish I could say that it was an act of sheer hipness or being in the know that brought us to an awesome look at Charles Phan's latest project, Hard Water, tonight. It was actually an act of confusion. 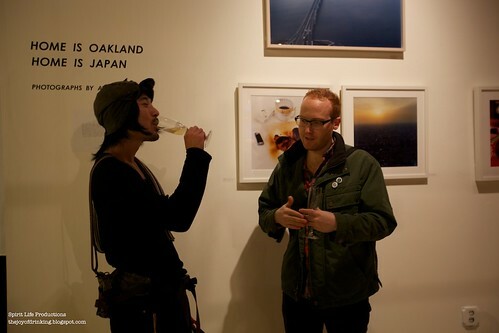 "Those rumor mill websites say that Hard Water is opening later this week," I told Josh. 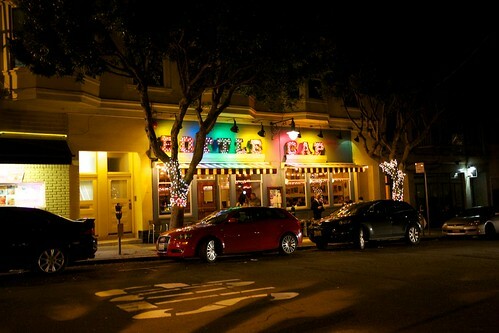 But, naturally suspicious of all hearsay, we thought that maybe it actually opened earlier this week. It was, of course, still closed. Huh. Those "rumor mill websites" turned out to be right. 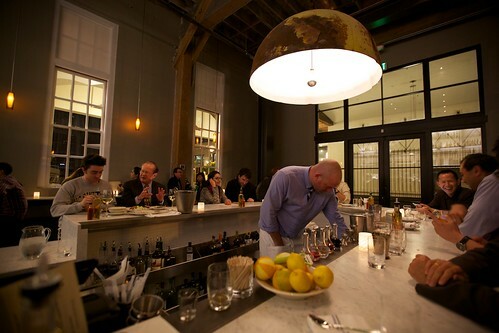 Thus was our surprise when we arrived at Hard Water to see not a customer in sight and busy staff sweeping the floors and readying the kitchens for the real opening—the soft opening, which is planned for tomorrow, will ramp up to full service around next week or so. We waved timidly from the door to say hello, and incredibly, they invited us peons inside to take a look (perhaps out of some combination of mercy, pity, and kindess). I was simultaneously excited and overwhelmed. We have eagerly looked forward to Hard Water over the last several months. 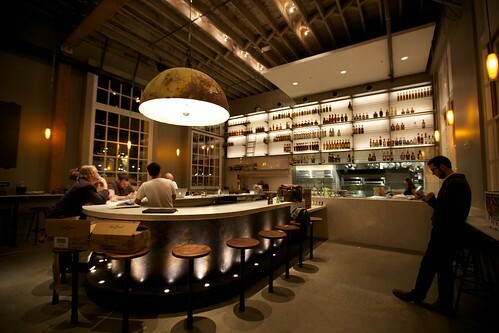 The restaurant bar is the latest expansion of Charles Phan's Slanted Door Group which has—in addition to the original and insanely popular Slanted Door in the Ferry Building—in recent years started Heaven's Dog (currently tragically under renovation), a catering business, Wo Hing General Store in the Mission, and also created the program at the new SF Jazz (opened just several days ago). 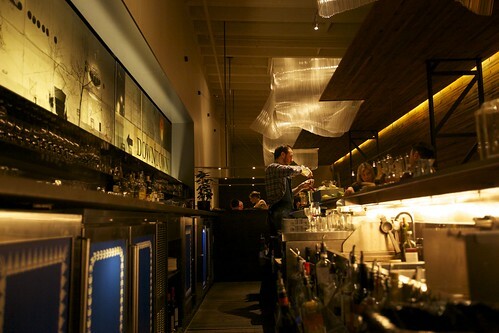 The restaurants are known for a variety of fine exotic foods, mostly Asian thus far, and a highly recognized, top-notch bar program, led under the steady hand of beverage director Erik Adkins. Last year, Mr. Adkins was honored at Tales of the Cocktail, the most important cocktail event in the country, for the best restaurant bar. 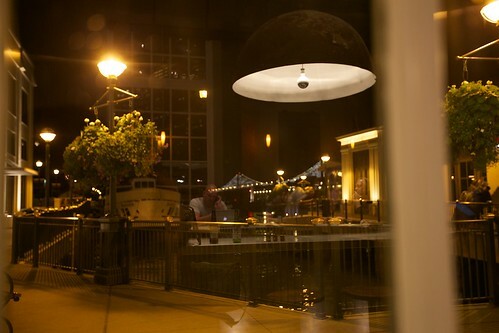 I love to mention that the Slanted Door group, especially its bar staff, has also been such wonderful people—one of the great examples of service driven by friendly folk in the city. 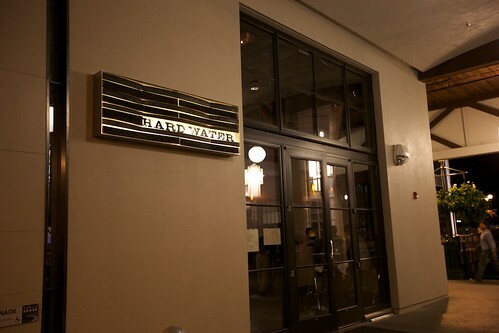 This new spot, Hard Water, will focus on a New Orleans theme. The food will incorporate those familiar rich flavors, such as fried chicken, boiled peanuts, sausage, collared greens, grits, and gumbo. 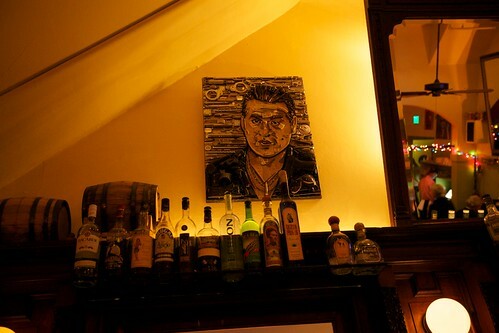 The drink menu, meanwhile, will pull largely on brown spirits and classic New Orleans drinks. Mr. Adkins appears to be taking a special interest in the menu for this spot, which we have been excited about since last year. 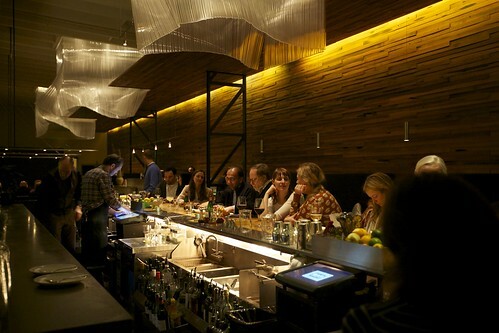 I had heard much about the beautiful space—the 18-seat u-shaped bar, the vaulted ceilings, and the Bay-Bridge-facing windows. I felt amazed at the ability to see the place quiet before the crowds fill the room with their voices. And we were also very happy to see Mr. Adkins there who was busily getting the space ready (naturally I managed to gracefully navigate the moment with my trademark hug-no wait handshake-oh crap just hug-oh well they are just doing the handshake and it's probably more appropriate anyway-shake shake shake shake shake). We felt very happy to see the space and so we wanted to share with you a few pictures of what it looks like. 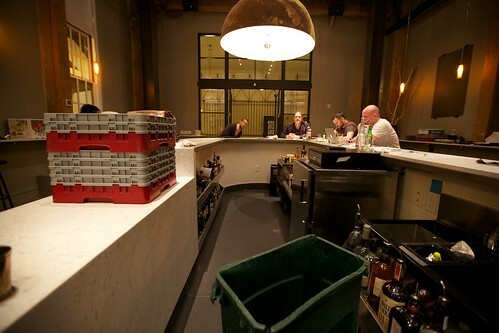 The tall back bar rises to the very top of the vaulted ceilings. 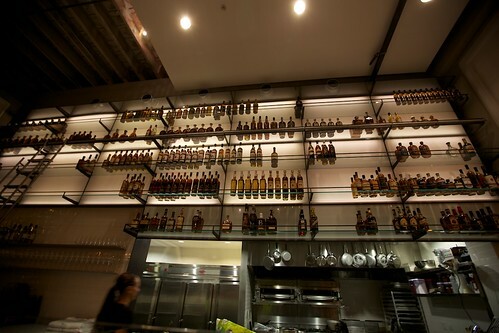 The space is so large that though the shelves are currently not crowded, they actually represent a very wide range of whiskies. The idea is that the collection will continue to grow with more special and precious products over time. The wells, which are back to back, are quite narrow. While you might think it's cramped, Josh and I actually really appreciated the intimacy created by the design. 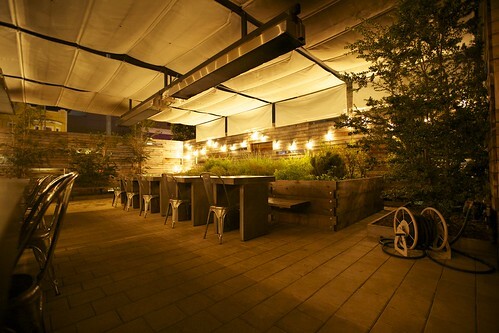 You can comfortably look across at the patrons across the way, and the bartender seems a little less estranged. 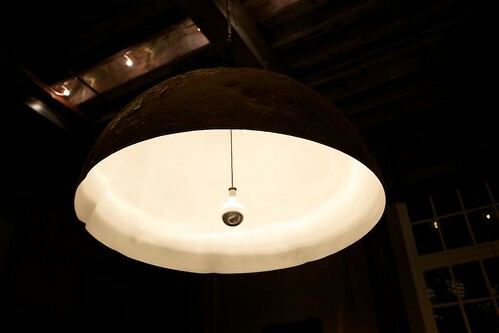 The main light in the dining room provides an arresting centerpiece. It's essentially a large buoy cut in half. 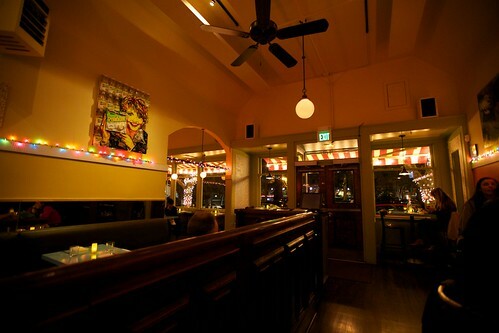 A few of the bar seats are against the tall windows, looking out at the Bay. It allows for a very clear view of the Bay Bridge, all lit up from The Bay Lights sculpture. You can bet this is prime real estate for couples on a special night. 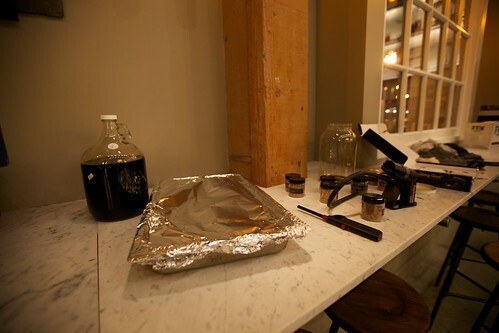 Mr. Adkins appeared to be smoking something very exciting, using a variety of botanicals. It looked mysterious and exciting! 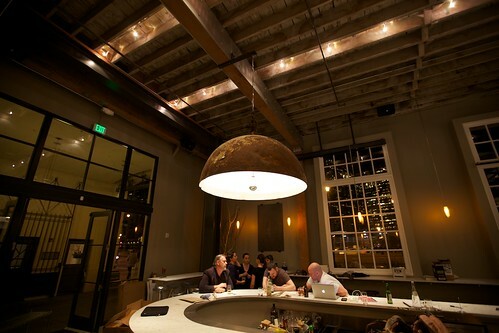 We were quite taken by the clean design, thoughtful lighting, and intimacy of the space. And that's not even to speak of the drinks to come! Hope you all get to try it over the next few weeks and months. Many thanks to the staff for their kindness tonight. For whatever reason––probably the shininess––the exterior of Bottle Cap has always interested me. I hadn't gone until very recently, though, when a friend suggested we all go their for cocktails. I was surprised since I'd heard that there are only two or three places to get a decent cocktail in North Beach, and Bottle Cap was never one of them. Feeling adventurous, I opted to go and was pleasantly surprised. 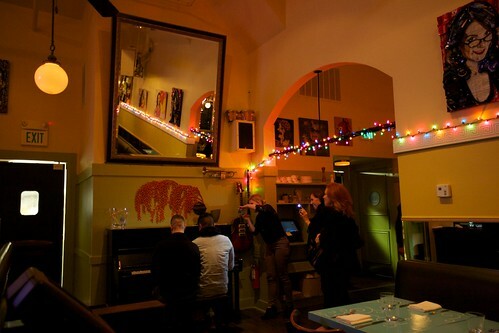 The atmosphere inside is casual, with a touch of intentional kitsch that I found fun. 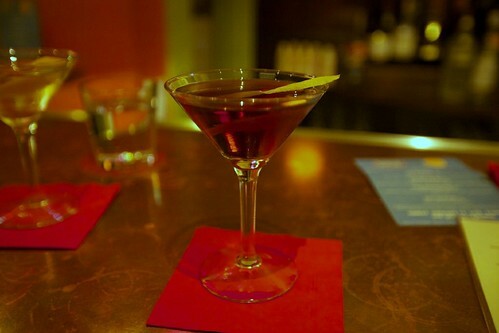 Trifecta--Buffalo Trace Bourbon, Vya sweet vermouth, and Pür Spice Blood Orange Liqueur. The orange spice works nicely with the Buffalo Trace, and the sweet vermouth adds a needed depth. I found it a touch sweet, but still tasty. Dr. No-- Flor De Cańa Dark 7yr. Rum, Smith & Cross Jamaican Rum, Housemade Pineapple syrup, Falernum, Orgeat, Lime Juice, Ginger Beer, Bitters. Whenever I see a Tiki drink on a menu I have to try it. It's a thing. This is a solid cocktail, but I found it a little weak for a Tiki drink. A touch more rum would have given it the stiffness it needed to hold up to the other ingredients. Otherwise, a nice cocktail all around. Another very solid drink. I think this is one of Bottle Cap's strengths. The drinks may not be avant garde or meticulously crafted (read: take forever to make), but they're solid. 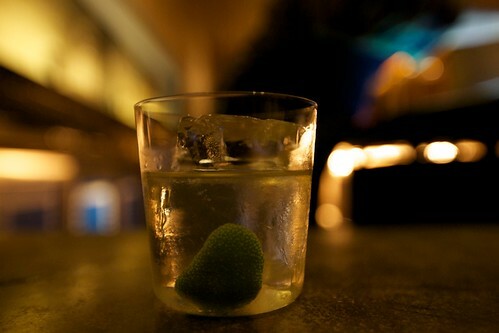 It's hard to go wrong with a Mezcal old fashioned. I was really surprised by the food. 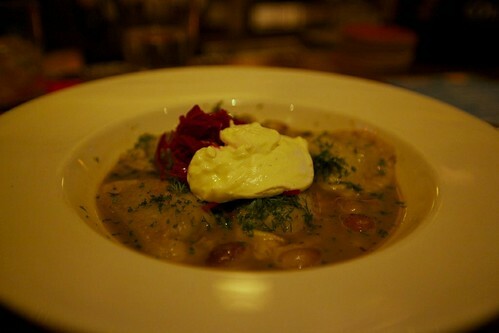 I had pierogi, which seemed like an obvious choice once I learned the chef is Polish. It was actually incredible. Flavorful in ways we don't often get in California, hearty, and warming, this dish impressed the hell out of me. If you're lucky, you'll get some music. On weekend evenings there's a professional. When he leaves beware, you're in for "Heart and Soul:"
Now on to the drinks. 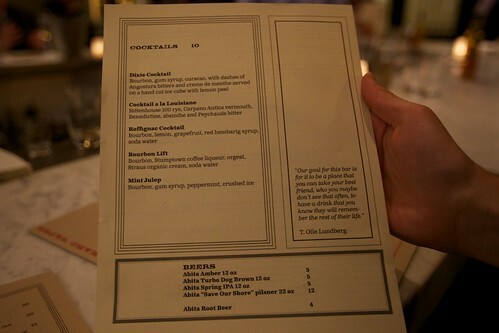 Even if you've never had a real cocktail before, Bar Agricole's drinks will definitely blow you away. The more craft cocktails you've tasted, though, the more you realize how much effort goes into these seemingly simple drinks. Take, for example, the Ti Punch. Another deceptively simple drink. Only a few ingredients, but this drink will keep you coming back for more. 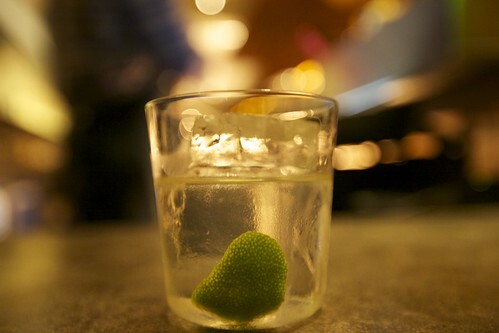 If you haven't had it before, Rhum Agricole makes you stop and think, "what did I just drink?" In a good way. The Ti Punch does an excellent job of highlighting the Rhum, not masking or obscuring it. 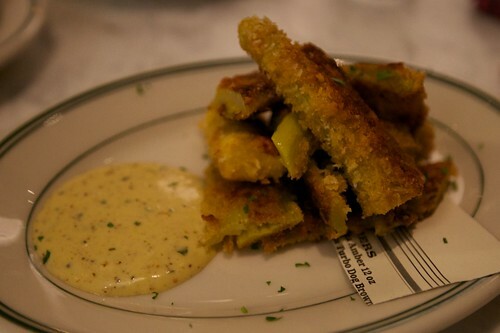 Once you get a taste for the funk of Agricole, you'll have to go back for seconds. 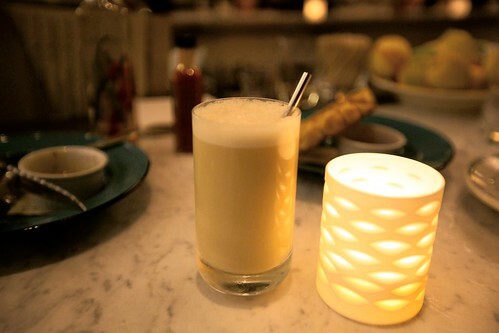 That's the perfect time to try a Daiquiri with Rhum Agricole. 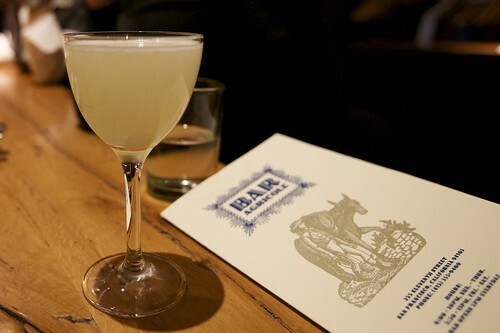 Agricole Daiquiri––this drink is off menu, but they can easily make it (and they often do). It's a good way to enjoy the citrusy side Rhum Agricole. Again, the Rhum isn't overshadowed by the lime, only accented. It's one of my go-to drinks. 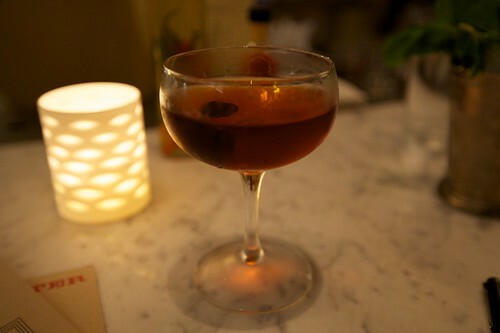 Looks like a run-of-the-mill Old Fashioned, but God is in the details. The ice is crystal clear (the Ti Punch picture below conveys the ice clarity much better). The bourbon is thoughtfully chosen––high proof to withstand the slow melting ice––and keeps the drink stiff throughout. The bitters are all made in house, and unlike most house-made bitters, these are mind blowing. 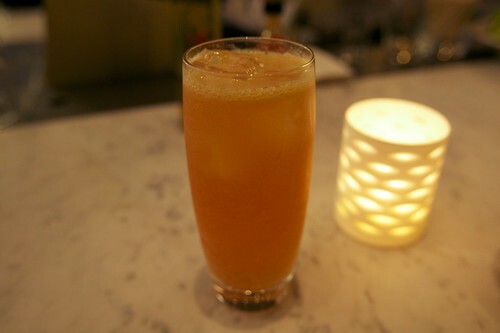 I sometimes just get bitters and soda at Agricole, just so that I can enjoy them on their own. (I feel a post about the bitters coming on...) The sweetener adds enough viscosity to help hold up the bitters, but not so much as to make the drink syrupy. 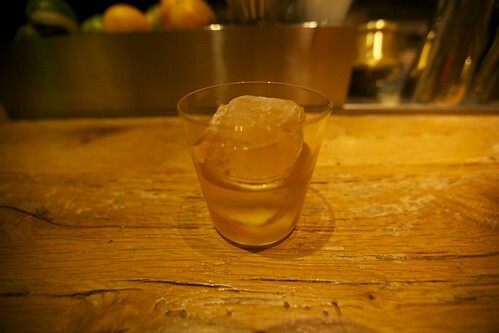 I might go so far as to say that this is the best Old Fashioned in the city right now.